The largest coin struck by King Herod the Great. Photo: Copyright 2010 by David Hendin, from Guide to Biblical Coins, 5th Edition. Fifty-three people from the Hebrew Bible have been confirmed by archaeology. What about the New Testament? In “New Testament Political Figures Confirmed” in the September/October 2017 issue of Biblical Archaeology Review, Purdue University scholar Lawrence Mykytiuk examines the political figures in the New Testament who can be identified in the archaeological record and by extra-Biblical writings. Below, see Mykytiuk’s extensive evidence, covering King Herod and his royal family to lesser known figures.—Ed. Subscribers: Read Lawrence Mykytiuk’s article “New Testament Political Figures Confirmed” in the September/October 2017 issue of BAR. This list does not pretend to be exhaustive in its coverage of the evidence. As the above title indicates, the evidences listed below are intended as samples of both kinds of evidence: ancient writings (manuscripts) and ancient inscriptions (normally on hard objects, such as potsherds). In a few instances, given the ravages of time and the somewhat haphazard nature of archaeological excavations, we have ancient writings but lack inscriptions that are known to be authentic. 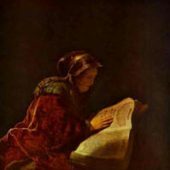 Why consider historical evidence from outside the New Testament? In order to evaluate the historical reliability of any ancient writing, in the last analysis, established historical methodology calls for all evidence to be considered, whether from inside or outside of that writing. Thus many readers who are already familiar with the New Testament are very interested in the external evidence. Likewise, historians of the world to which the New Testament writings refer are obliged to consider relevant evidence or potential evidence in these writings. A scholarly book in Italian describes this inscription: Laura Boffo, Iscrizioni Greche e Latine per lo Studio della Bibbia (Brescia, Italy: Paideia Editrice, 1994), pp. 338‒342, no. 41. For a photograph of this partly broken inscription in Latin and an English translation which fills in the broken portions using data from ancient historical writings, see www.livius.org/pictures/lebanon/beirut-berytus/beirut-insciption-of-king-agrippa-ii. Want more on Biblical figures? 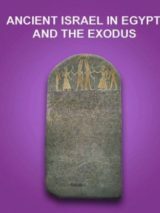 Read “53 People in the Bible Confirmed Archaeologically,” “Did Jesus Exist? 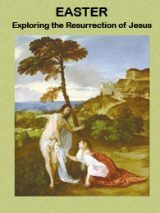 Searching for Evidence Beyond the Bible” and “Herod the Great and the Herodian Family Tree” by Lawrence Mykytiuk. In Josephus, Antiquities 19.5.1 and Wars 2.11.5, the references to “Abila of Lysanias” and “the kingdom of Lysanias,” respectively, are too vague in their time reference to be a clear confirmation of Luke 3:1. Note: Lysanias, Tetrarch of Abilene, must not be confused with the earlier Lysanias, a Tetrarch in the same area, who is also mentioned in Josephus, Antiquities. a. Lucius Sergius Paulus or Paullus, Proconsul of Cyprus during the reign of Emperor Claudius, appears in Paphos, according to Acts 13:6–13. But only the family to which this person might potentially have belonged is documented (Hemer, Acts, pp. 109, 166–167, 227, all on Acts 13:7). b. Theudas, who appears in Josephus, Antiquities 20.5.1, does not seem identifiable outside the New Testament in view of the chronological difficulties discussed in Hemer, Acts, pp. 162–163, on Acts 5:36.
c. The Erastus of Corinth who is described in most detail in Romans 16:23 cannot be clearly identified in an inscription in stone discovered at Corinth (Acts 19:22 and 2 Timothy 4:20 might or might not refer to the same Erastus), in view of the difficulties and uncertainties raised by Steven J. Friesen, “The Wrong Erastus: Ideology, Archaeology, and Exegesis,” in Steven J. Friesen, Daniel N. Schowalter and James Christopher Walters, eds., Corinth in Context: Comparative Studies on Religion and Society (Leiden: Brill, 2010), pp. 231–256. Difficulties in attempting such an identification were pointed out much earlier by Henry J. Cadbury, “Erastus of Corinth,” Journal of Biblical Literature 50 (1931), pp. 42–56. Nor can the Erastus of Romans 16:23 be clearly identified in a second inscription discovered in 1960 that might conceivably refer to him, according to Andrew D. Clarke, “Another Corinthian Erastus Inscription,” Tyndale Bulletin 42.1 (1991), pp. 146–151. d. Candace turns out to be an inherited, dynastic title customarily conferred on Ethiopian queens, rather than the given name of an individual (Hemer, Acts, p. 163, on Acts 8:27). This Bible History Daily feature was originally published on September 7, 2017. Is is true that Berenice was the paramour of the Roman General Titus? this is a great work. it helps me to give evidence for those who are in doubts about Jesus thank you.. Coins, 5th edition (New York: Amphora, 2010) either directly from a local library or by having a local library get a copy from another library (a process called interlibrary loan) and lend it to you. You will find answers to your questions on pp. 34-42. Dates on ancient coins told which year of the rule of a particular ruler, such as Tiberius Caesar 11, something like saying “Reagan 7”—not the overall system of years that we have today. Interestingly, today’s sytem of dates began during the 300s with the similar idea of Jesus being born a king, but with an unending reign, as Christians interpreted Like 1:30-33 according to a prophecy to King David in 2 Samuel 7:16 (compare 1 Chronicles 17:14). As for how coins were produced, the usual way to manufacture coins was to heat blank discs of metal called flans place a very hard die on them, and strike the die with a hammer. Sometimes, however, old coins were heated and re-struck using new dies to give them a new design on both sides. Hendin is a top-notch numismatist (expert on coins) who reveals much more about the process, so I urge you to borrow his book. Thanks again for your very helpful contribution. Coins seem to be a good indicator of the ruler’s existence but how did the transfer of power affect the circlation of coins. Were the old ones brought in, melted down and reused for the new ruler? Were dates used at the time of minting on coins? Thank you, Lindert, for your accurate observations about other New Testament figures mentioned in Josephus. This article is specifically about _political_ figures in the New Testament confirmed in ancient writings and archaeological discoveries. To be sure, during Second Temple times, there was a political dimension to the office of high priest, but the enduring essence of that office was religious, therefore, confirmations of them are not treated in this article. The next article in this series is about confirmed _non-political_ figures in the New Testament. As it turns out, all of these _non-political_ figures happen to be religious figures. Therefore, in the coming article, you should expect to see confirmations of the high priests whom Josephus mentioned, plus James the brother of Jesus, plus one other figure mentioned by Josephus, and one figure mentioned outside of Josephus’s writings. In addition to these, Josephus names the three high priests in the New Testament: Annas, Caiaphas and Ananias, and also James the brother of Jesus.